Cenk Uygur breaks it down nice and proper-like with his assessment that Rush Limbaugh possesses the uncanny ability to simultaneously behave incredibly stupidly and profoundly offensively. Apparently the production of the Prius should protect Japan from Gaea’s wrath, or some nonsense. 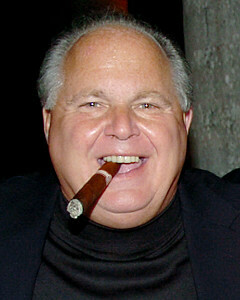 Limbaugh laughs it up about the fact that Japanese displacement camps have recycling barrels set up. That’s it. If there’s a punchline in there somewhere, we’re just not seeing it, Rush. Recycling is, as you know, what responsible human beings do with their waste to minimize the environmental impacts of humankind’s depletion of the planet’s natural resources. It has absolutely nothing to do with the position or activity of the tectonic plates nation’s sit upon. While we’re at it, tectonic activity is also not associated with God’s will, gay marriage, atheism, or democracy.